Home » Thailand » Let’s Party In Koh Phangan! Let’s Party In Koh Phangan! 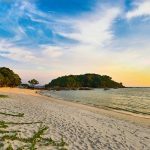 Koh Phangan, which is located in the southwest of the island not too far from the famous Ban Had Rin Beach, is a beautiful authentic place and full of tranquil natural beauty. You can find lots of wonderful little hotels, spas and retreat centers to relax. 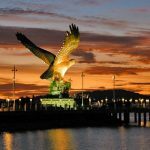 It is a popular island destination at any time of the year which attracts masses of backpackers who arrive from everywhere, so it is really important to book early if you want to travel. Here you are in the middle of the partying crowd, old-school hippies, party animals and adventurous party goers from all over the world. Koh Phangan’s epic Full Moon, Black Moon and other ‘Moon’ parties create an overwhelming atmosphere of freedom and happiness. If you are going to the Full Moon Party not just to party and drink, but to take drugs as well, remember that drugs are illegal in Thailand and punishment is severe. In any case, do not leave drugs in your accommodation and do not carry any with you. If drinking and partying all night through are not your favorite things, a stunning island will satisfy you. The terrain of the island is mountainous which provides a picturesque backdrop for white sand beaches. 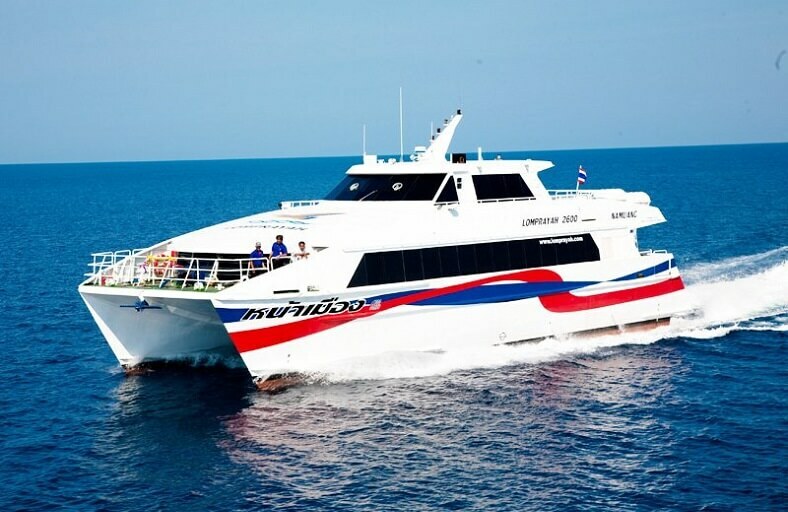 Ferry travel is the premier way to get to Koh Phangan from nearby island Koh Samui (15km). The ferry boats carry between 180-300 passengers and they can enjoy the beauty of the views through the windows or from the outside decks. The ferries are frequently checked for safety and all carry the necessary sea safety equipment and lifejackets. 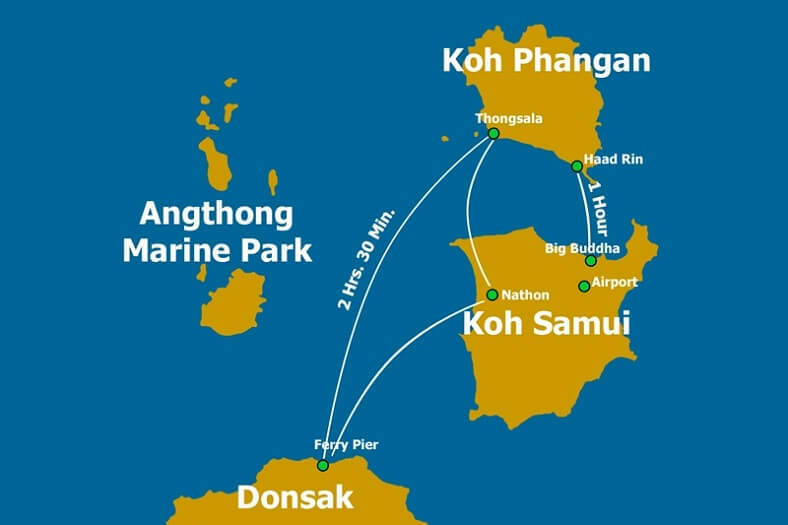 The ferry route connects Koh Samui Island with Koh Phangan Island and is currently operated by two ferry companies. The Songserm service has three boats a day at 8 am, 1 pm and 4.30 pm with a sailing duration of around 45 minutes while the Lomprayah High- Speed Ferries service runs up twice a day at 8 am and 12.30 pm with the duration of 30 minutes. They pick up passengers from Bangrak Seatran Pier in Samui then head for Thong Sala on Koh Phangan. It takes not too long so even if you are prone to seasickness, there is no reason to miss an opportunity to visit Koh Phangan. However, the price is changed over the time and different from two companies so you should frequently check to get the best fare for your trip. According to the statistics, the highest price is $30 (in March and April) whereas the lowest ticket costs $6 (in September). There is a small boat called Haad Rin Queen which brings you right to the center of Full Moon Parties on Koh Phangan. Note that Haad Rin Queen departs from Big Buddha Pier in Samui. Currently, there are four departures a day at 10.30 am, 1 pm, 4 pm and 6.30 pm but the timetable is subject to change, so check in advance. Transit time is from 50 minutes to one hour. Tickets cost $6 and it is impossible to buy tickets or make a booking for Haad Rin Queen online. One more option to get to Haad Rin other east coast beaches on Koh Phangan is Thong Nai Pan Express. Depending on your destination, expect to pay from $6 to $12 per person. However, it runs only when the weather is good. When you arrive at Koh Phangan, there are a few ways to get around the island and immerse yourself in the island experience such as songthaews, motorbikes, bicycles and long-tail boats. 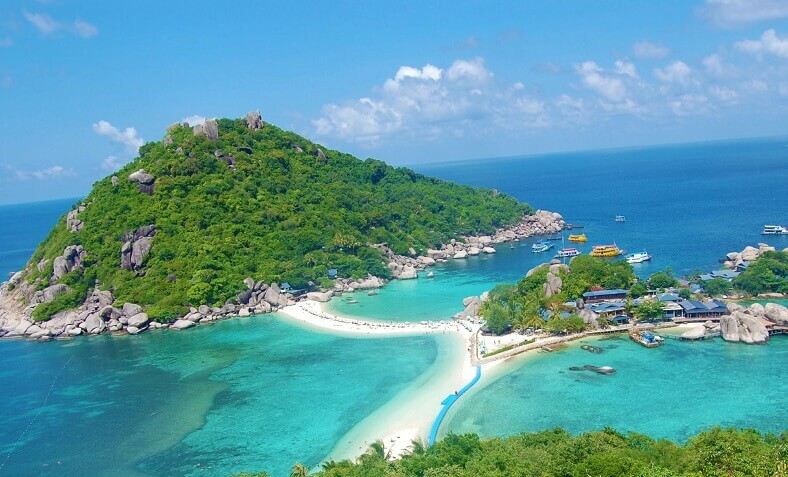 Tourists can sign up for snorkeling in the vicinity, hiking in the Ang Thong Marine National Park, kayaking to some hidden beaches and visiting Saturday Walking Street market in Thong Sala for local souvenirs and cheap tasty food. Come to Koh Phangan right now and join overwhelming parties with friends from all over the world!